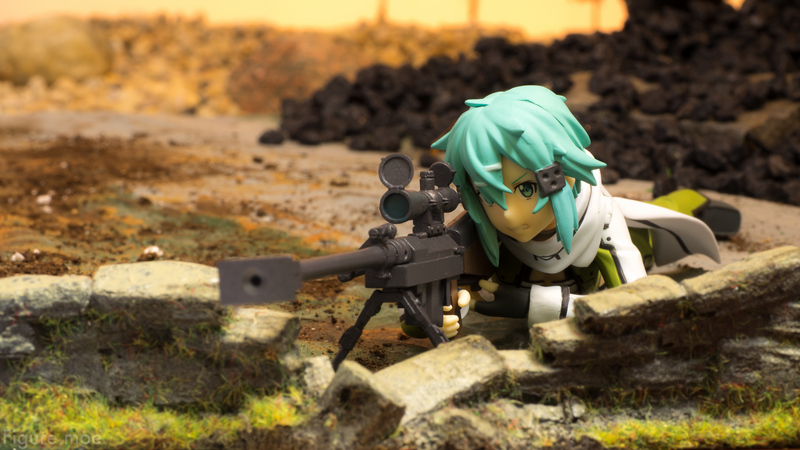 To be a successful sniper you have to be cool and calm, though, Sinon is anything but in these photos. 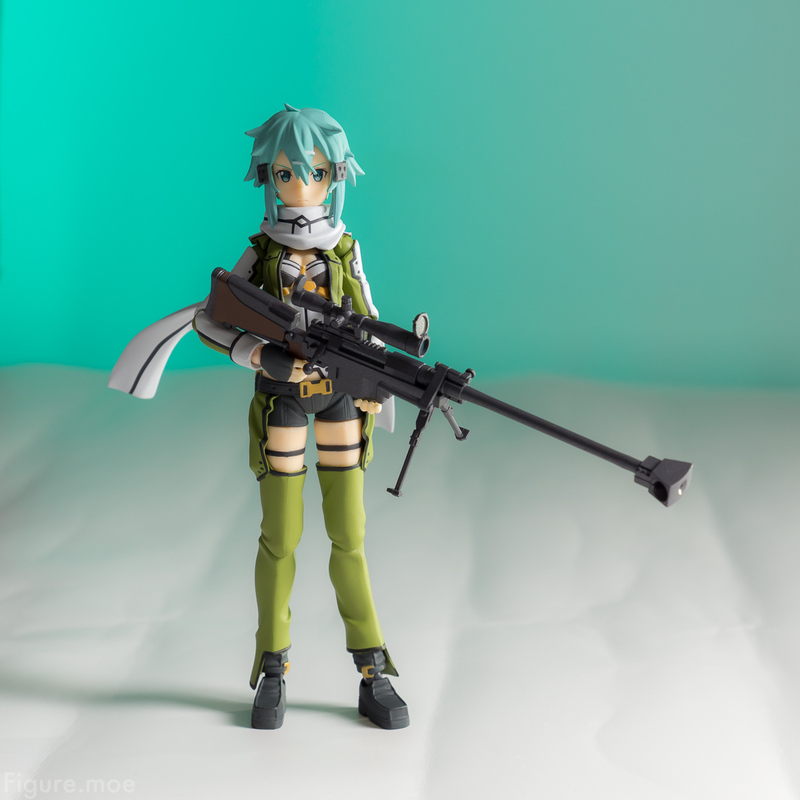 The new Sinon figma is both fun to play around with and gorgeous, so as you might notice I also took the time to make some new 3D photos with her. Enjoy! 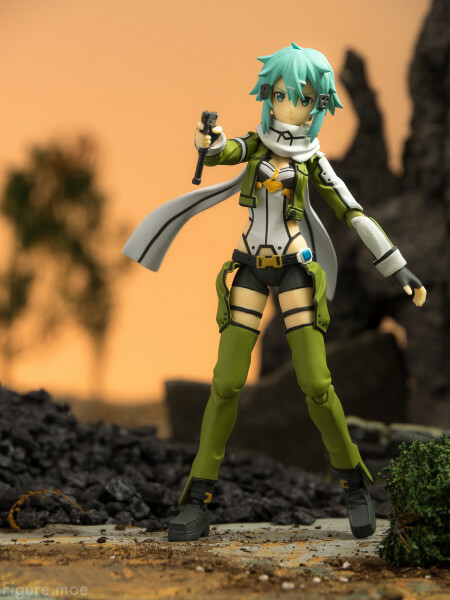 Even Sinon had to fight her way through the game to get her Hecate II. Here’s some shots of her using the best means to eliminate multiple opponents early in the game. 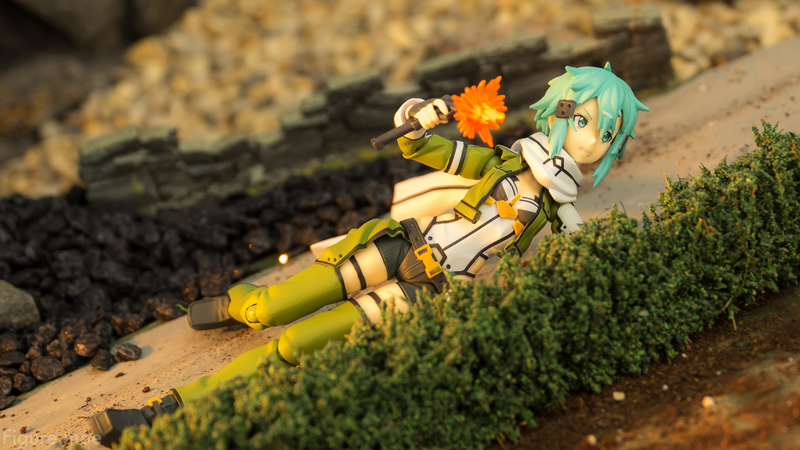 Despite the violent ending to this post, hope you enjoyed these photos as much I had fun doing them! 2 Pings/Trackbacks for "Calm and Cool Sinon"